Unexpectedly another giant leap occurred. I went to the bus station to happily leave the tourist syndrome of Budva and head to Kotor. The ticket person said “five minutes”, so I jump on the bus, but the person selling the tickets failed to mention that the bus was heading to Podgorica first. This is a fine example how sicking tourist areas behave, yet, everything turned out for the better. 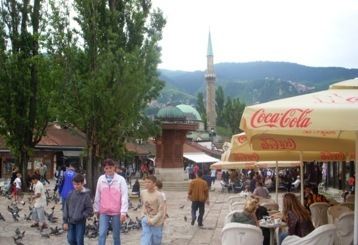 Once at the Podgorica bus station I inquired about heading to Sarajevo. With only a two hour wait I grabbed some lunch, remarkably a good old-fashioned mid-western style meal, found some Internet and the time rushed on to depart for Sarajevo. I departed the lovely flat I rented for three nights in Bar and could have stayed longer, the flat was painted pink and had silk sheets. I experienced the color pink to be a relaxing positive color. 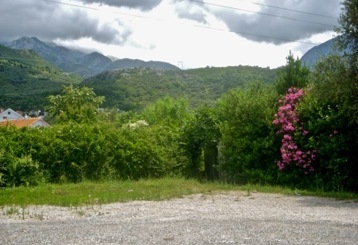 Montenegro, as in the other areas of the Balkans, possesses beautiful landscape. 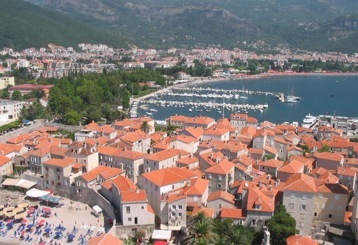 The short bus ride up the coast to the tourist town of Budva dominates with high mountains and charming little towns within beach style harbors. BAR—Montenegro, But Where’s the Bars? I arrived in BAR in Montenegro a couple of nights ago. There are no buses from Northern Albania to Montenegro so the traveler is forced to take a private car. The driver only charged 30 euro all the way to coastal town of BAR from Albania. The town/city of BAR seems kind of suburban, at least it has that feel. Hearing the name BAR among travelers and tourists induces a preconceived idea.